Writing Your Book Is Only the Beginning. Here's Why. D.J. Williams spent several years in the music business and then made a change to work as a television producer. Recently, he launched a side career as an author. In this interview, he discusses his experience with marketing his book, as well as how he managed to focus and stay productive on the book project while also working as a producer. 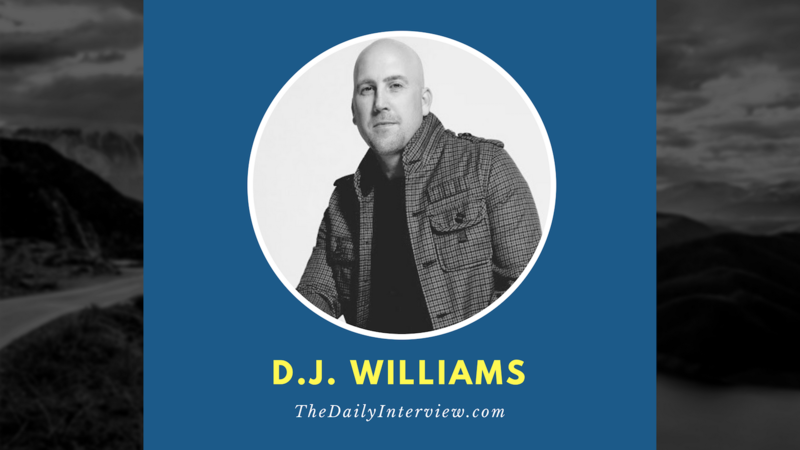 D.J., it sounds like you’ve led a pretty interesting life so far — venturing into the jungles of the Amazon, working as a producer and director for various broadcast TV networks, and writing a critically acclaimed novel, The Disillusioned. What got you interested in writing? Being raised in Hong Kong offered a unique perspective on the world around me. From an early age, I was surrounded by diverse cultures, and that experience engrained in me a desire to travel to places off the beaten path. When my family returned to Los Angeles, I was 15. 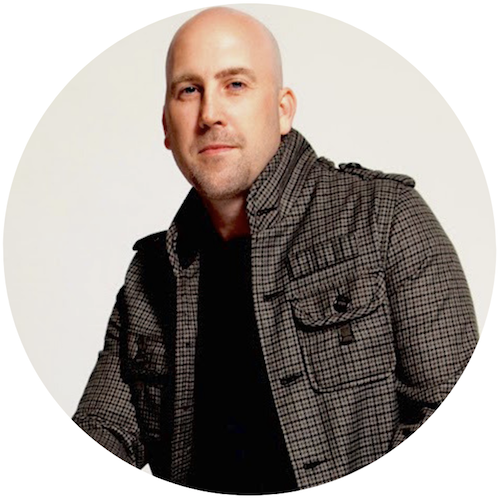 I was thrown into yet another adventure that eventually led me into the music business, where I launched two indie record labels and served as general manager for an entertainment company in Burbank, California. I worked for over a decade in the music business and realized when that industry began to shift that I needed to take a risk and pursue my dream of writing. What I didn’t anticipate was an opportunity that presented itself to produce and direct a new show, The Restoration Road With Mitch Kruse, which has been on the air for many seasons now. I’ve always been an avid fiction reader: Grisham. Connelly. Patterson. Meltzer. I enjoy the escape and the adventure their stories provide. It inspired me a few years ago to try to write my first novel. It took time to find my voice; I tossed several early ideas. It was another two years before the idea for The Disillusioned (affiliate link) really started to take shape. I didn’t tell anyone I was writing until the novel was finished. During that time I went through the long process of finding an agent and learning how the publishing industry worked. It took me about a year to finish the manuscript, and I’ve been fortunate that the response to my first novel has been positive. Taking risks while learning the ropes of production on the fly has taught me valuable lessons. It has also provided the time needed to pursue my writing. In a way, it’s the best of both worlds. I spend part of my time working with a full crew producing episodes, and then I spend time by myself locked away in my office trying to put the right words on the page. What do you consider to be your greatest successes so far in your career? One of the things that brings me joy are the children and families I’ve been a part of helping who live in a city landfill in the Philippines. Through one of the record labels, a music tour, and a documentary we filmed there, we were able to put nearly 100 kids through high school. I also think about the message in The Disillusioned that deals with human trafficking. I want to raise awareness of the fight against one of the fastest-growing criminal enterprises in modern history. If someone reads The Disillusioned and walks away wanting to do something to make a difference in this area, then the novel is a success. These two examples serve as a daily reminder that success is not about notoriety, wealth, or career advancement. I think success is defined as those things we do for others when no one else is looking. My hope is that my greatest success is yet to come. What has been your greatest challenge in getting to where you’re at today? After being in the music business for so many years, I found myself in my mid-30s having to reinvent myself. During that time, there were also two unexpected deaths in my family and the decision to close the record label I co-owned. All of those things hit within a matter of months. I had to do some soul searching about what I wanted to do for the next 30 years. I realized my passion and desires were different from what they had been a dozen years earlier when I first started out. I also realized that one of my strengths was storytelling. I wish I could say that the transition was an easy one, but it was extremely challenging to rebuild my career in a completely different way while providing for my family. I learned the importance of self-discipline. If I wasn’t pushing myself forward, then no one else was going to do it. If I was going to succeed as a television producer and director, I had to work harder than I had worked the year before. If I was going to write a novel, I had to make the time to write, whether it was early in the morning or late at night. No one was going to force me to do it. I needed to discipline myself to set achievable goals along the way, and when one was achieved I looked for the next. Many people have the skills and drive to write a book, but failure to market and sell the book the right way is probably what keeps a lot of people from finding success. What strategies have been effective for you in promoting your book? When I wrote the book, I wasn’t thinking about a marketing strategy. I wanted to write the story that was stuck in my mind and heart. I wanted the characters to feel real. I wanted the action, adventure, and suspense to keep readers turning the page. Once the novel was done, I realized my work was only just beginning. Marketing and promoting the novel would take as much effort for as long a period as writing the manuscript. I began putting together press releases, radio interviews, guest posts, book reviews, book signings, developed a website for readers to follow my journey as a writer, and pushed the message out via social media. I’m still working hard daily to promote The Disillusioned. I’m not convinced that I’ve reached a broad enough audience, but I take one marketing effort at a time and continue to build. Perhaps one of the myths about being an author is that if you sign with the right publisher, they will do all the marketing and promotion for you. No matter which publisher you sign with, there is an expectation that you will do your part in promoting your book. So, you have to take a proactive step in putting together your own marketing strategy in addition to a publisher. Writing a book requires a lot of focus, organization, and just an overall productive mindset. What were some strategies you used to remain focused and productive while writing, perhaps ones that could be applicable to any similar type of project? In the beginning, writing a novel seemed like an impossible task. I didn’t know how I was going to find the time or endurance to do it. I found myself spending the next month trying to outline the entire book. As soon as I started to write, the story changed. All that time outlining didn’t work for me. Instead, I set goal markers along the way. I put dates on a whiteboard of when I would finish a certain number of chapters, and then I allowed the story to evolve. I think that’s kind of the way life works. Each day, I blocked out two hours to write. If that meant I got up at 5:30 a.m. or stayed up until 1 a.m., I committed myself to stick with the plan. Some days the writing seemed easy, while other days the page remained blank as the story was stuck in my mind. Creativity is not a faucet you can turn on and off. When it happens, when the flow occurs, you have to chase it. You have to push yourself and ride the wave for as long as it lasts. When the creative juices stop, you take a break and prepare yourself for the next wave. I found myself on several waves where I’d write for days without writer’s block, and the excitement building left me on the edge of my seat. The next week I’d go back and read or edit what I’d written, take a deep breath, and then push forward. What’s next for you, D.J.? I’m writing a novel that connects a present-day homicide with a real-life mystery from the 1920s.